NEW YORK (April 18, 2018) –FlightSafety International announces a significant upgrade to the flight deck of its simulator used for Bombardier Dash 8 300 aircraft training. 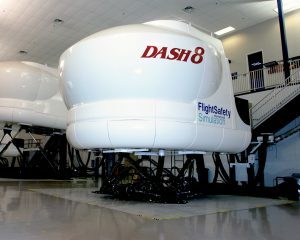 The simulator is located at the FlightSafety Learning Center in Toronto, Canada. “This upgrade of our Bombardier Dash 8 300 aircraft simulator reflects FlightSafety’s commitment to provide our Customers with the highest quality training using simulators that are equipped with the latest technology according to their specific needs,” said David Davenport, Executive Vice President. FlightSafety will replace the original electromechanical and electronic flight and engine instrument systems in the simulator with five Universal Avionics EFI-890R flat panel integrated smart displays purchased from Field Aviation. Four of these panels present the pilots with navigation and situational awareness. The fifth displays engine information. The system provides full redundancy by allowing information to be switched between the displays. The modifications to the simulator are expected to be completed before the end of 2018. The Toronto Learning Center currently offers six full flight simulators for Bombardier aircraft. They are used to provide training for the Bombardier Dash 6, Dash 7, Dash 8 100, 200 and 300 aircraft as well as the Q400. 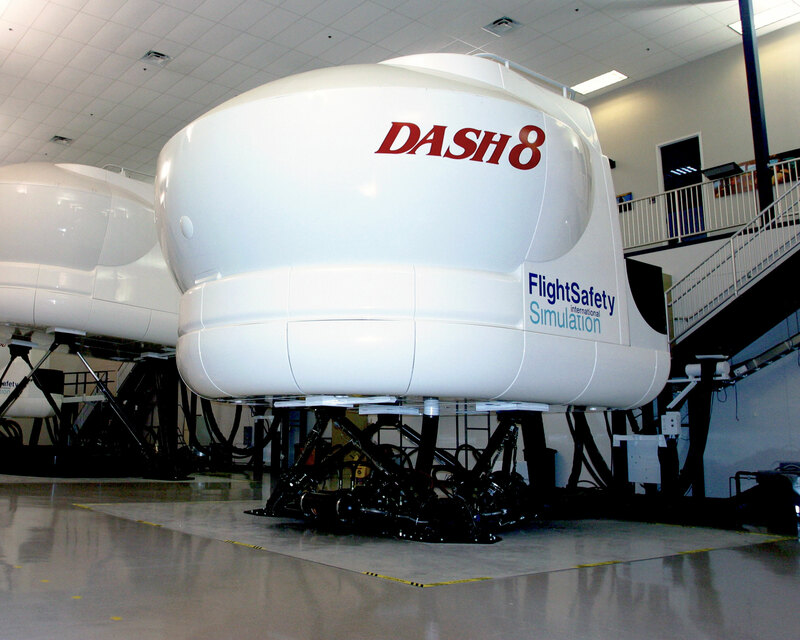 Training for the Bombardier Dash 8 series aircraft is also provided at FlightSafety Learning Centers in Atlanta, Georgia; Johannesburg, South Africa; and Seattle, Washington. FlightSafety provides training for business and regional aircraft built by Bombardier using more than 60 flight simulators and other advanced training devices at 16 Learning Centers in the United States, Canada, Japan, South Africa, and the United Kingdom.